There are critics out there made so uncomfortable by how foreign music is marketed to Western listeners, especially Europeans, that they’ve sworn off any sort of foreign style — charming music, maybe, but to like it would contribute to imperialism, colonialism, fetishization of the Other, and such. One shouldn’t blame the music for its marketing, and actually, one convenient thing about the “world music” tag is that it’s just a tag. Below find four foreign albums (well, Aki Kumar works in San Francisco) that target the international market and have nothing in common besides that. Repeat after me, nothing in common. Don’t conflate them. Don’t fetishize the Other. Plenty of gifted bluesmen work in the Bay Area, but only one of them has crossed traditional blues with retro Indian pop in a playful, let’s-see-what-happens genre experiment, described in his own liner notes as “a marketing nightmare, an impossible sell, a potential financial failure, a slap in the face to both the Eastern and Western cultures that nurtured him as a child both culturally and musically…” Not to mention a madly arbitrary novelty record and a successful, exciting musical mesh. Lacking sufficient knowledge of the Bollywood soundtrack to comment on the verisimilitude of his replication, I suppose I might be overestimating the record’s value as a gauntlet. But as traditional bluesmen go, Kumar writes unusually inventive songs, inverting the blues scale into an exuberant major key or a creepier-sounding scale that must be Indian, bursting into glossolalia just like scatting, skipping into tempo shifts that sound totally natural, and generally finding a way to escape convention. 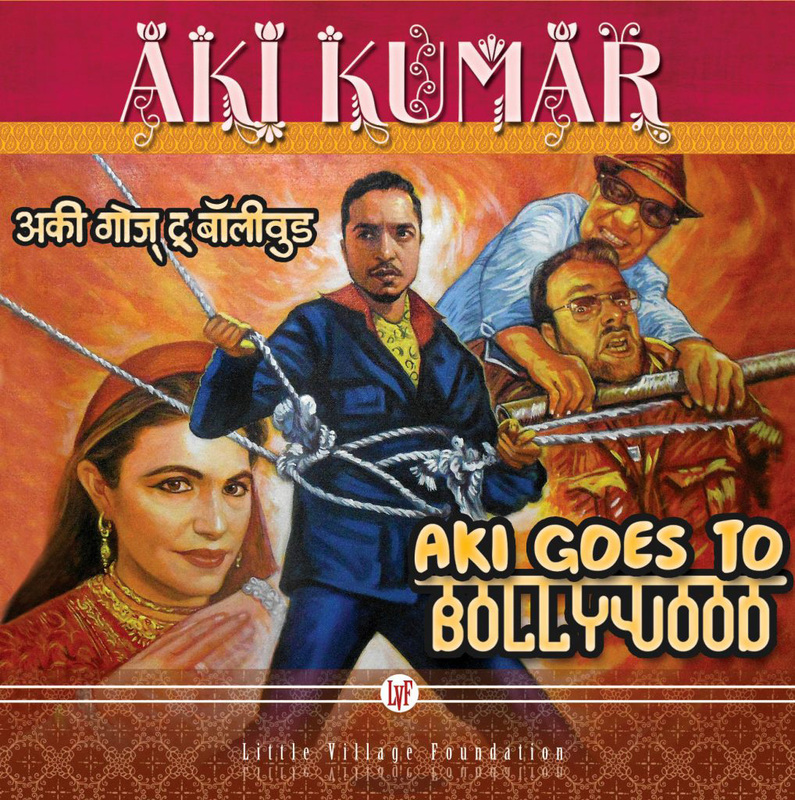 The Bollywood influence manifests itself in a band sound that gets down and dirty the way blues is supposed to, while leaving individual instruments shining in their own lurid light, like the rather loud basslines or the bangy piano chords or the liquid organ juice dripping from the ceiling or Kumar’s aching, strangled harmonica; particularly hooked on the intersection between the electric guitar and the harsher, buzzier, bristlier cadence of the sitar, the album nails a sharp drone whose sweaty fatigue coexists with dogged energy. Against conservatives, whether blues purists or those who feel he’s insulting Indian culture, the typical argument would be that he celebrates both genres, but that’s too easy — just as the conservatives would say, he also disrespects them. It’s rather irresistible.